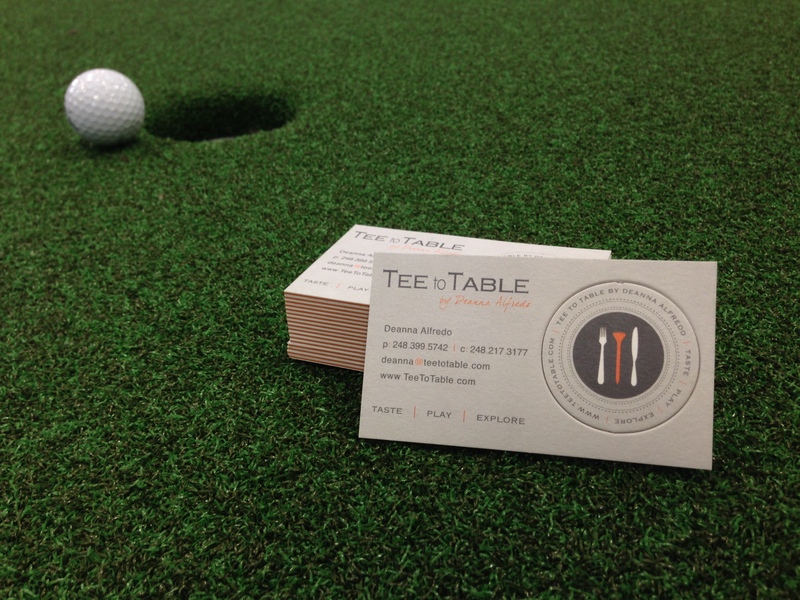 This unique business card for Tee to Table is both hole-y and memorable. 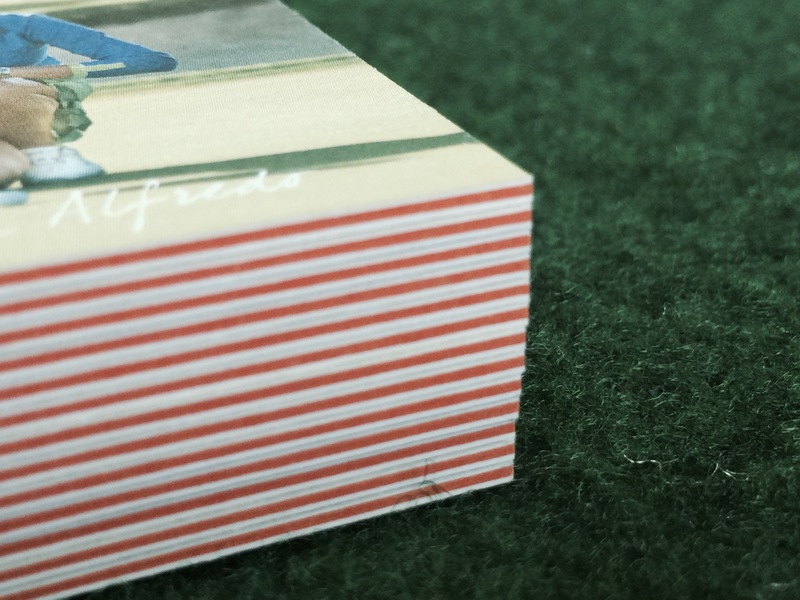 Printed on both sides using PaperFuse + ColorFuse technology – two sheets of orange paper sandwiched between two white sheets of paper; resulting in a very thick card. 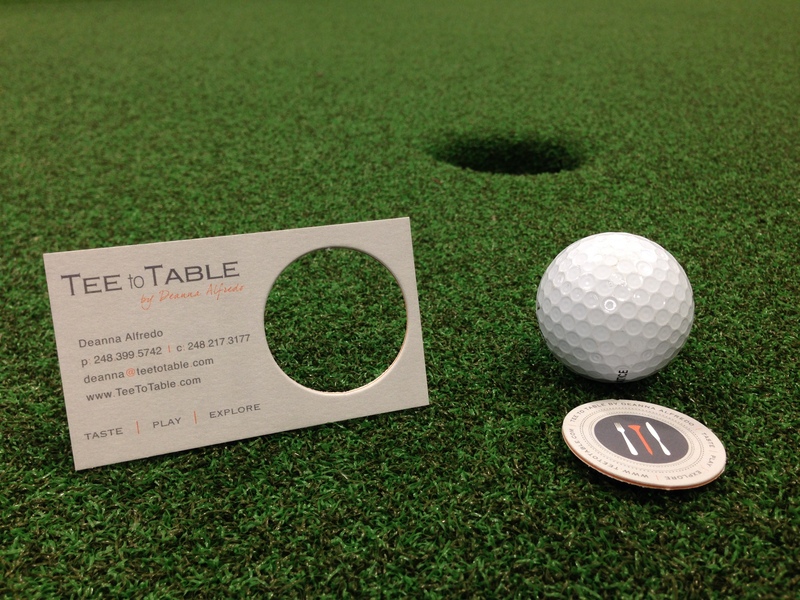 What makes this card even more memorable is a ball marker die-cut into the card itself – reinforcing Tee to Table’s passion for Golf, Food and Travel. 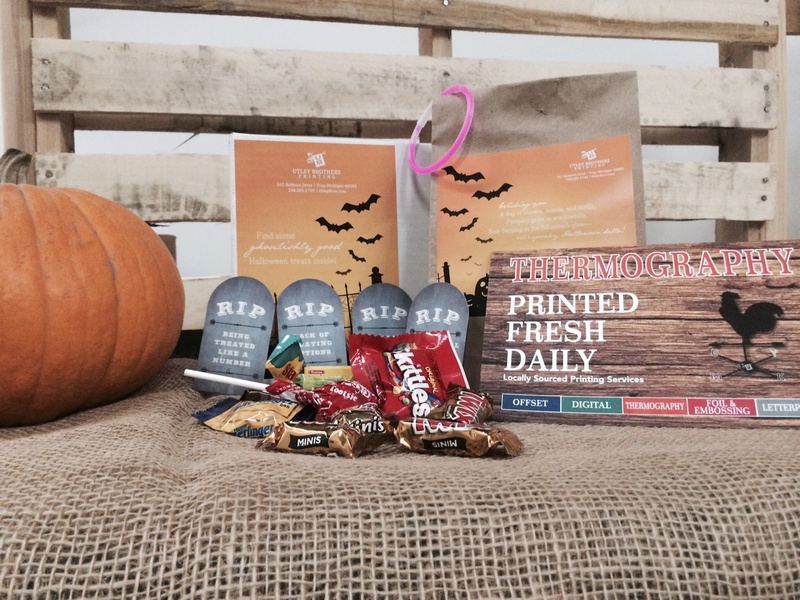 The fourth and final in our Brown Bag Marketing series, Halloween Edition, landed on desks of friends of UB across the country. The bag was filled with a little sweet thank you for working with our nearly 70 year-old, 3rd generation business. 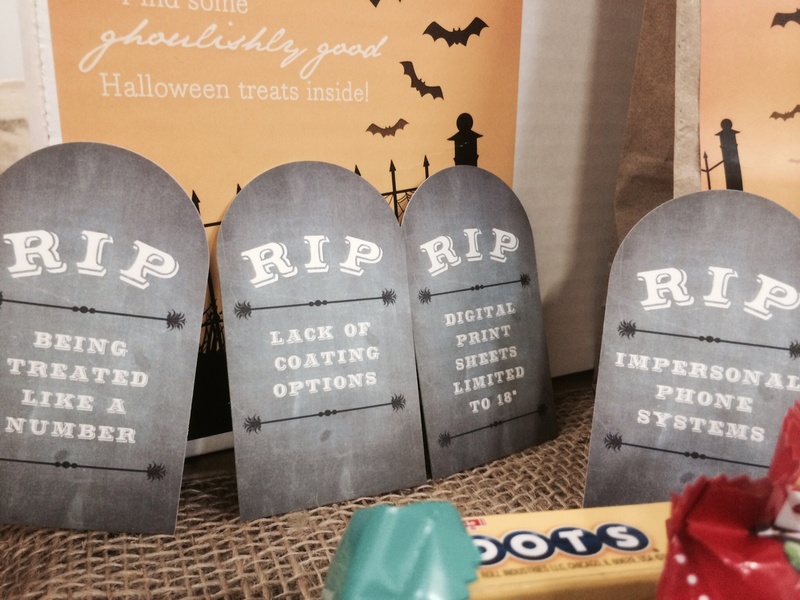 In addition to a small collection of dentist-dreaded sweets and custom die-cut tombstone cards saying goodbye to a few commonly accepted printing company characteristics, this year’s bag included one glow stick bracelet; sure to be all the rage at ones next outing. 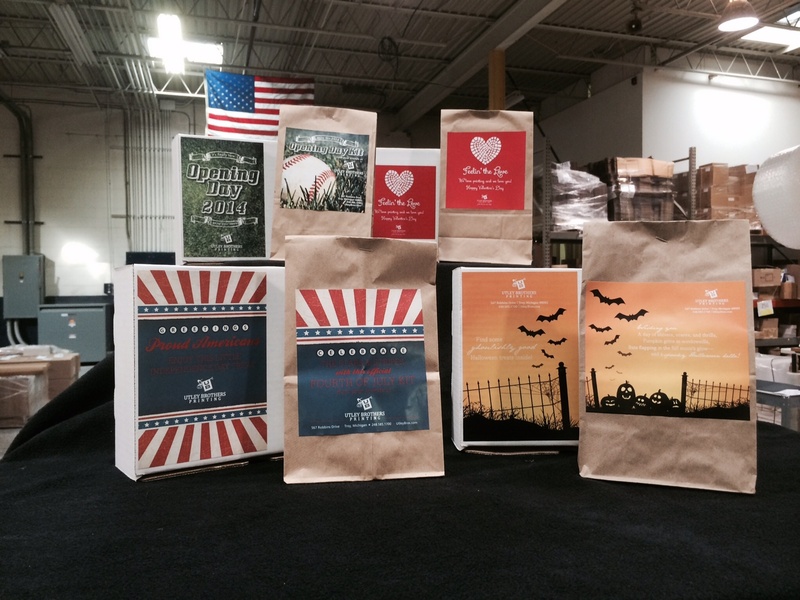 The four seasonal marketing bags were distributed this past year for Valentine’s Day, Opening Day, Independence Day and Halloween. Plans are already in the works for next years series and how to make each bag to the next level. 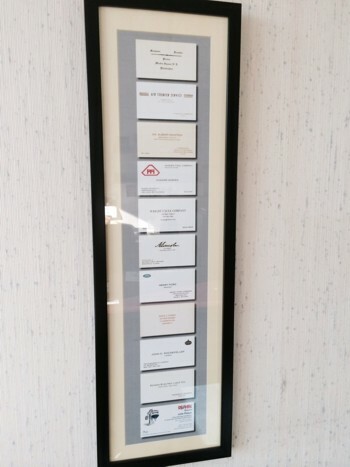 Our nearly 70-year old family printing company places a high value on talking with our vendors and have heard you do too. That’s why when you call Utley Brothers Printing real people answer the phone during business hours, and not a phone system. 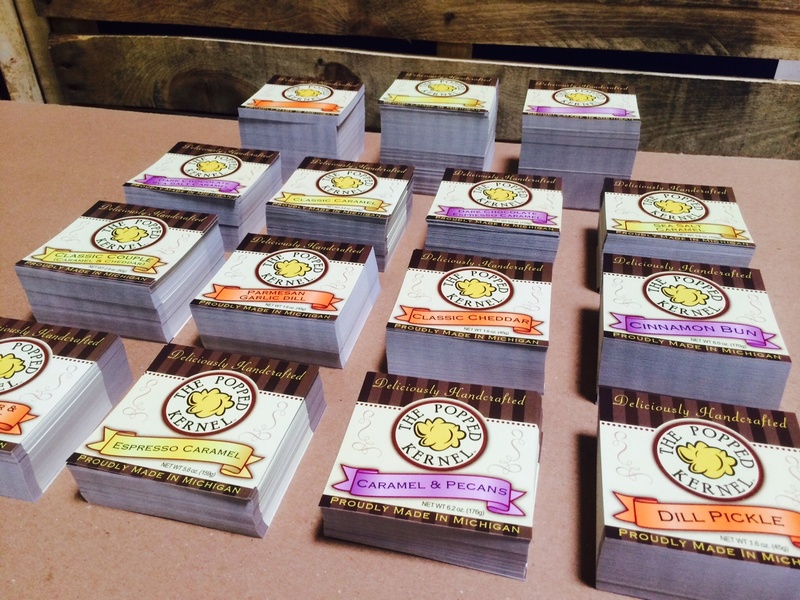 Sourcing any of your printing locally is a conscious choice. For those of you for whom we are in your “backyard”, we are proud to offer free local delivery on approved metro-Detroit area routes; which is reflected as a delivery option online. We continue to make will call/pick-up an option for those who find it convenient, in addition to standard UPS shipping. Speaking of online ordering, we are proud of our websites and the conveniences each offers our client base. Our sites offer our customers 24-hour pricing and ordering and helpful information. We continue to grow full color capabilities in both the offset and digital world, while offering coating options to perfectly finish a project. Short-run extended length prints up to 36” inches fit difficult customer needs; along with plastic cards, magnets, full color envelopes and prints on unique substrates. Foil, Embossing and letterpress services from Utley Brothers Printing are a perfect fit when a design calls for an element of a layout to set the printed piece apart from others. Design with either foil, embossing or ink letterpress printed as a tool of the overall layout communicates intentionality and class and takes any printed project to the next level. 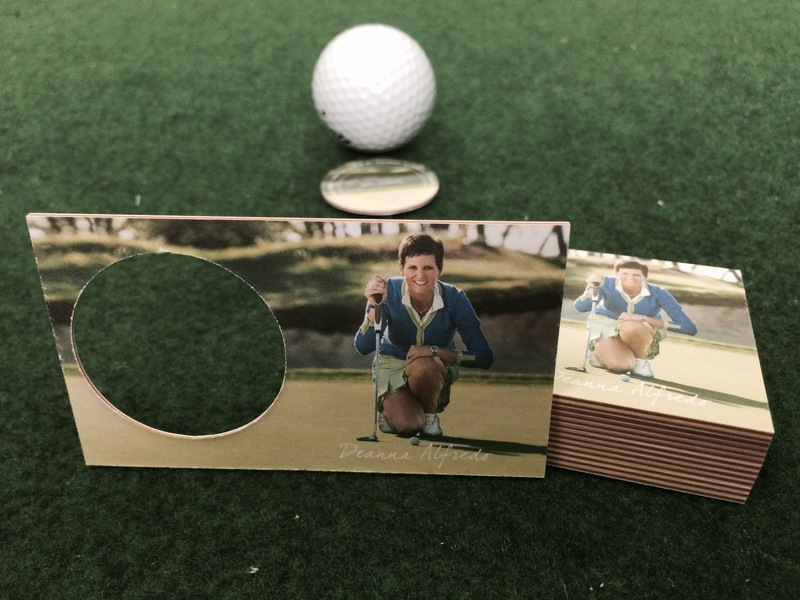 We are very proud of our raised printing quality, tradition and capacity. After decades of using a semi-dull powder, we are excited to announce that all raised printing will now be produced with gloss powder. 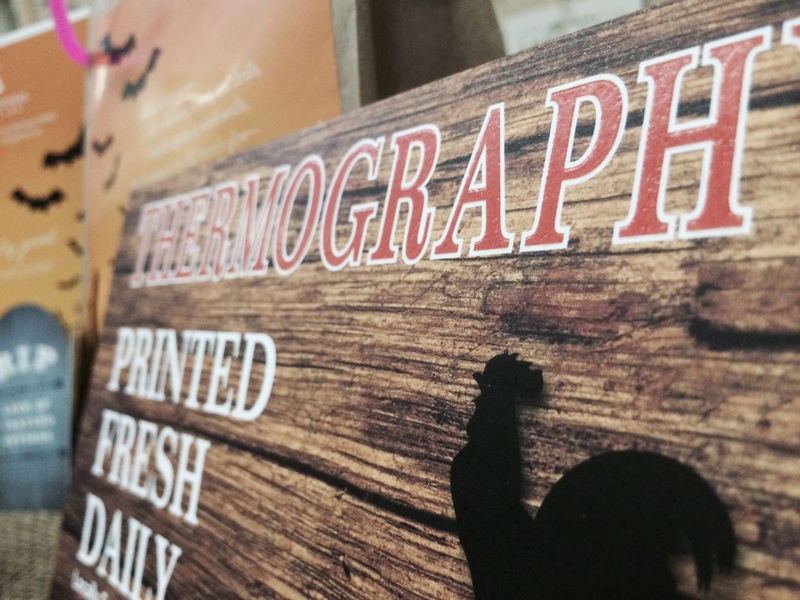 We are also proud of our fast turns on thermography; which typically run 1,2 and 3 days. 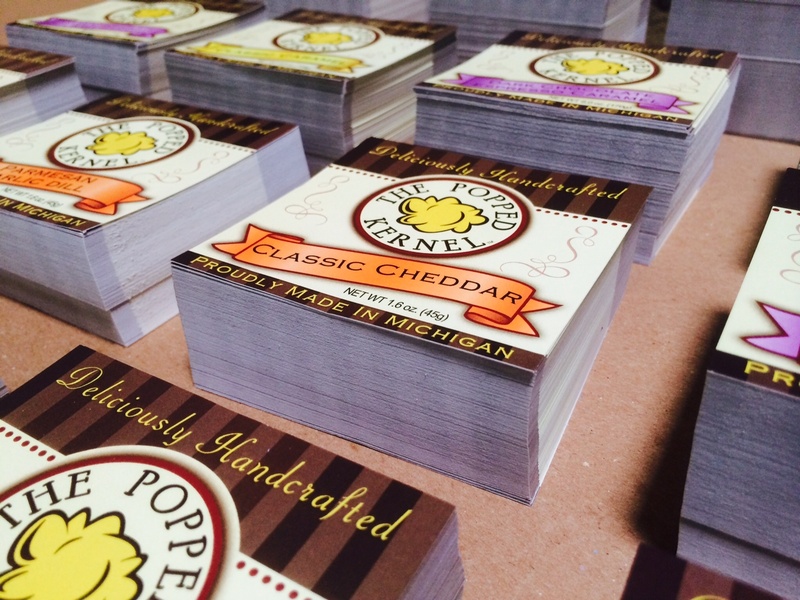 Custom labels produced for The Popped Kernel, a Michigan based specialty food company, looked great as they were printed on a white permanent label stock and stacked for delivery. 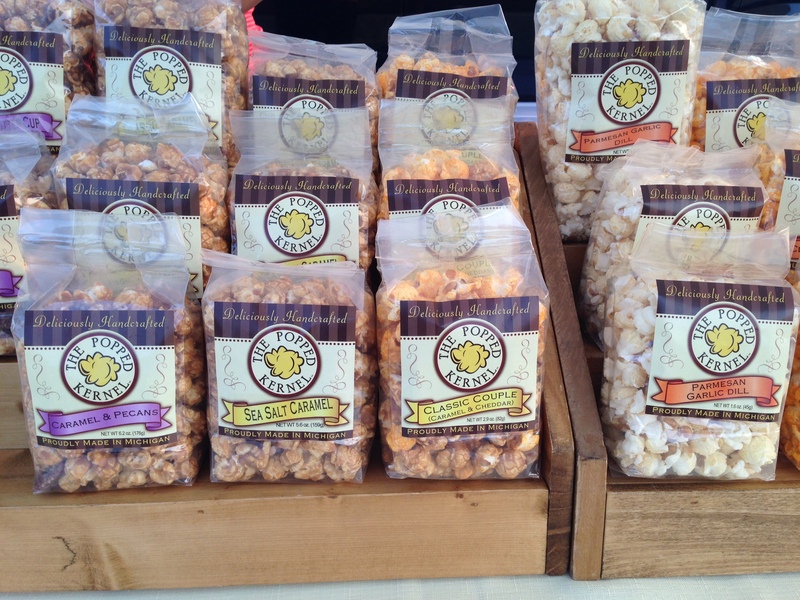 But the labels looked even better once applied to the clear bags which contained popped goodness inside. 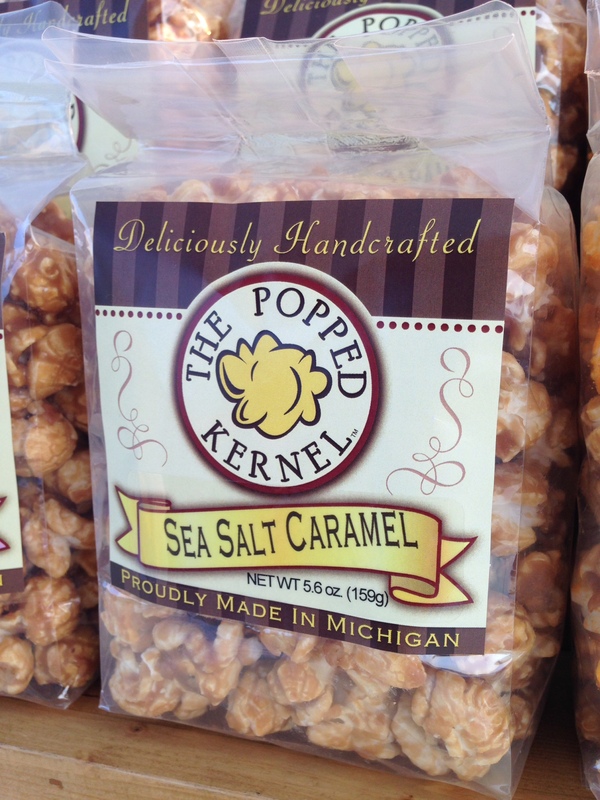 The Popped Kernel can be purchased at local farmers markets around southeast Michigan and select boutique gift shops in the region. 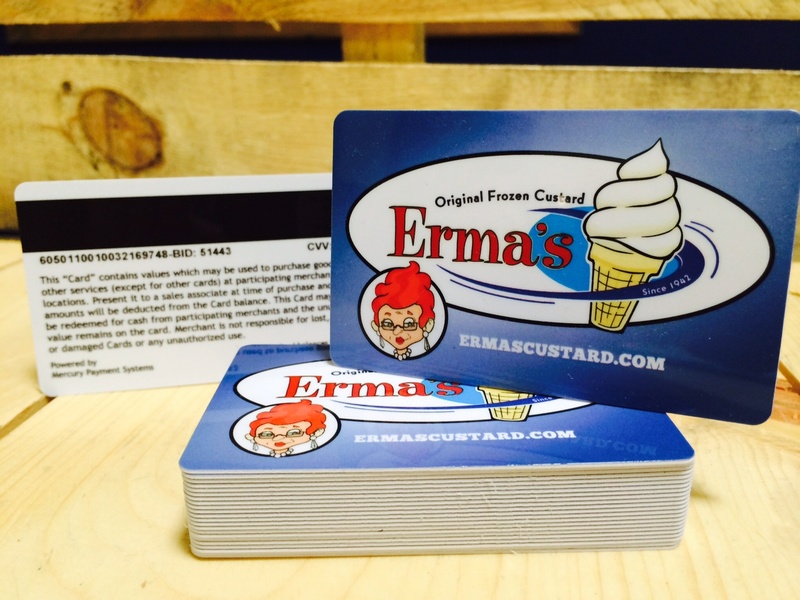 While not nearly as tasty the frozen custard itself, gift cards produced recently for local favorite Erma’s are a tasty gift idea! 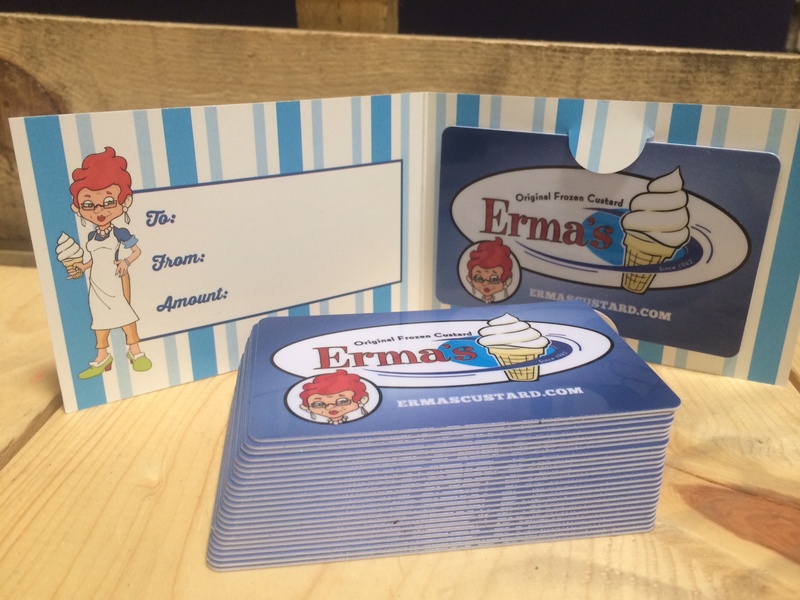 The Erma’s gift card project included not only the card itself but a fun and great-looking card holder which can be personalized for the lucky recipients. 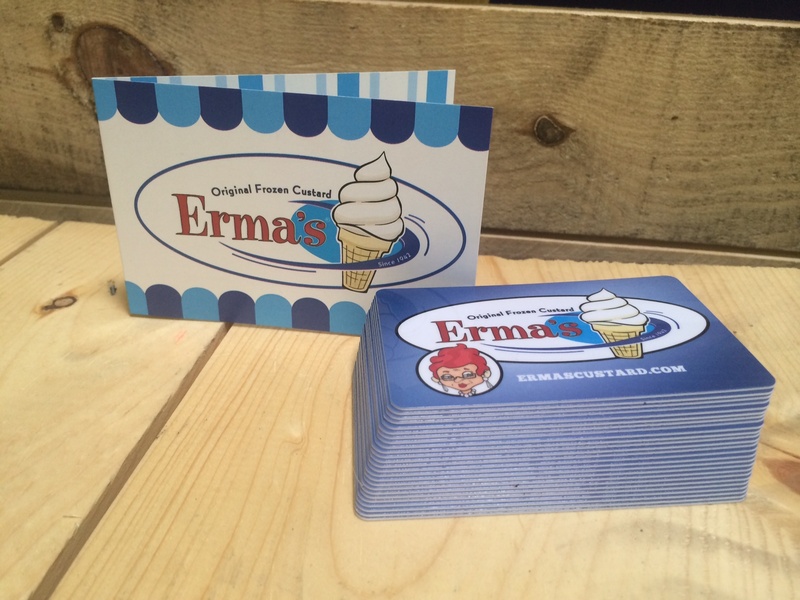 As with everything Erma’s does, the gift card project maintained strong branding consistency. 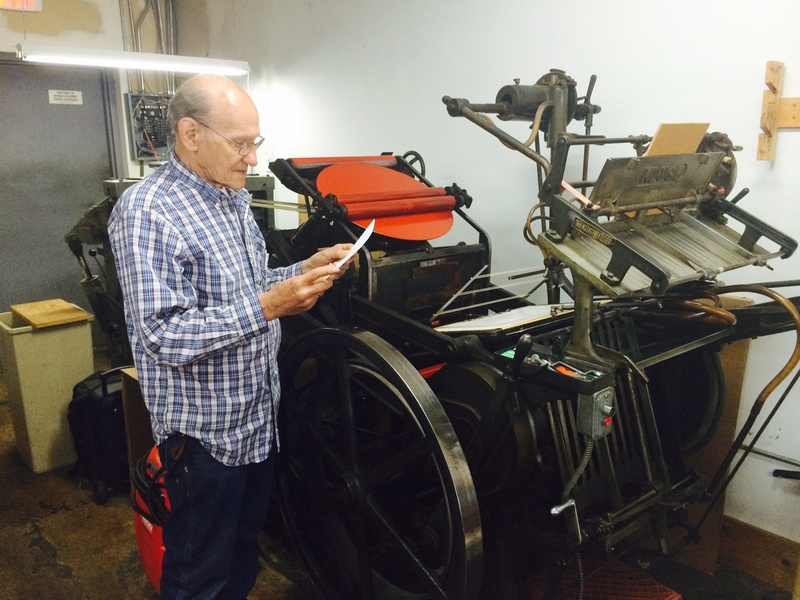 It’s not every day one can say they know of an 87-year old printer. 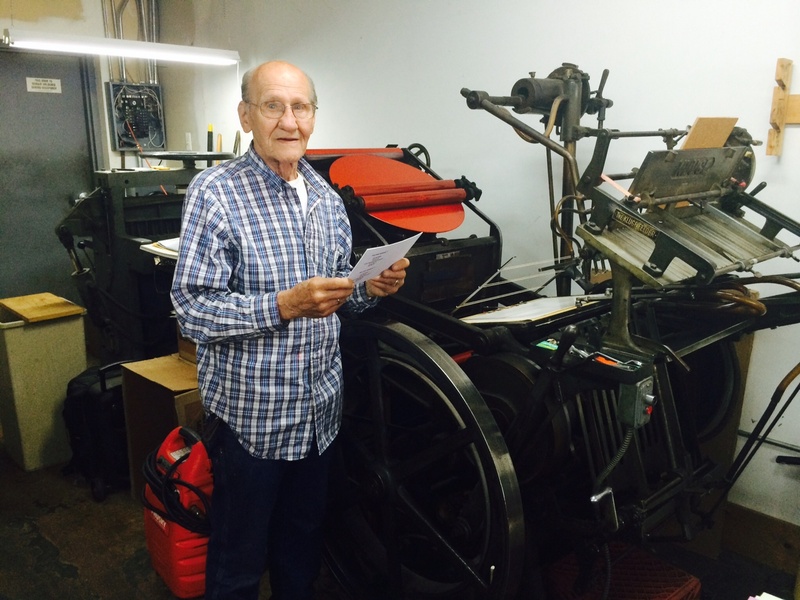 On June 13 Harold (Hal) Schrade celebrated his 87th birthday by doing what he has been doing since 1941…printing! 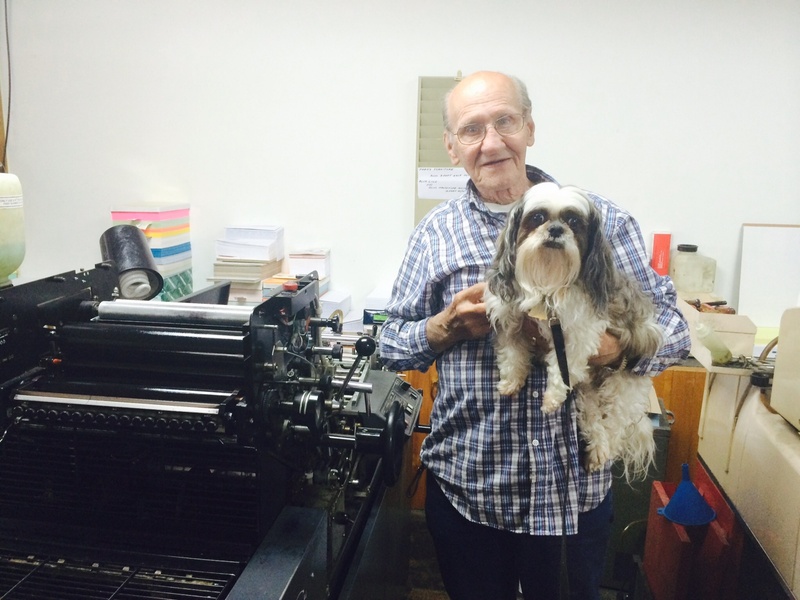 We have had the privilege of knowing a lot of great printers in our area through the years and Hal is not only one of them but an absolute gem. 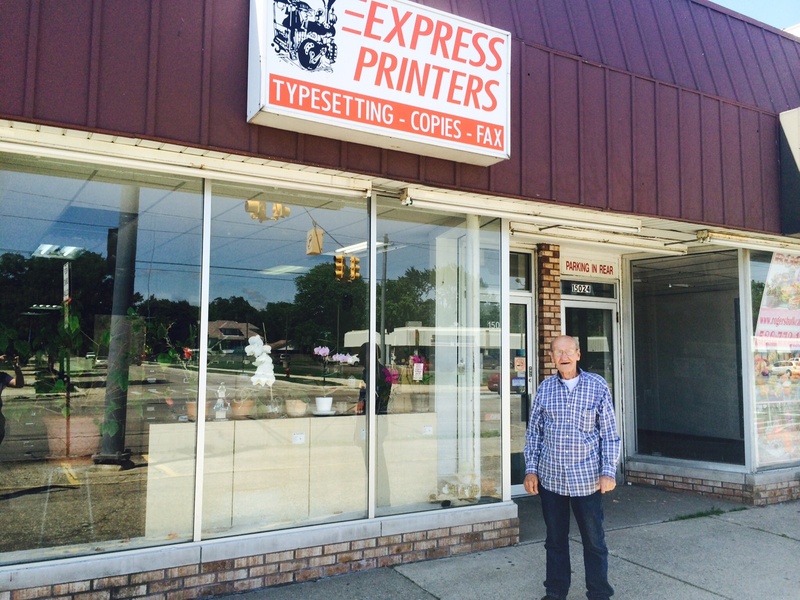 With the help of his assistant, Ka-Ching (pictured below), he has been serving the Eastpointe, Michigan community since the 60’s when he opened Express Printers. Hal can operate all the machinery in his shop and is most proud of his original Kluge press which he bought new in 1965 from Germany. On a recent visit to his shop, the Kluge was inked up and in action. When she isn’t working at a local church, Hal’s wife Arlene, whom he’s been married to since beginning Express Printers, takes care of typesetting duties. Hal has seen it all. Been through plenty of ups and downs. He has a quick wit and laugh. Hal loves going into the shop – crediting his health with working a little every day. It is an absolute pleasure to know and wish Hal a Happy 87th Birthday!